The hurdle is made from special aluminium profiles, which are specially designed for this product. The crossbar is made from special timber wood. 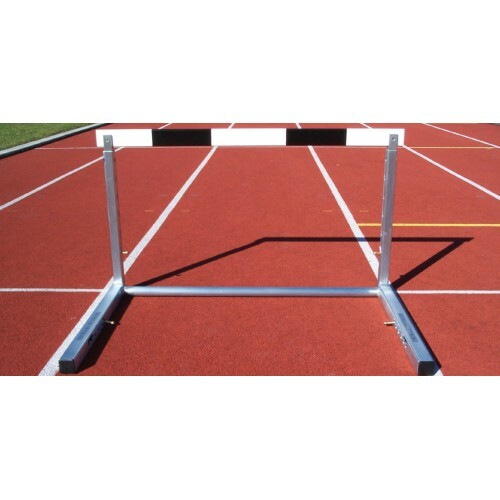 The hurdle can be adjusted to all heights which are used at IAAF hurdle events. The hurdle meets the needs of the IAAF regulations at any height. Therefore, aside from the height, the weight distribution must be adjustable. The wood is painted with a special multilayer technique to enhance maximum durability at all weather conditions. The height of the hurdle can be adjusted to 68.5, 76.2, 84.0, 91.4, 99.1, and 1006.7cm. 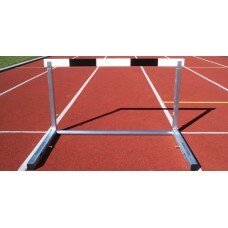 The hurdle is certified by the IAAF. 2017 © Copyright Velocity Sports Equipment Sdn Bhd. All Rights Reserved.